Produced by renowned London production duo iLL BLU (Ray Blk, The Weeknd), ‘Sponsored’ was premiered by DJ Target on 1Xtra last night and is the latest track to be taken from his highly anticipated debut album set for release this summer. The video was directed by Daps (Stormzy, Drake, Migos) and continues to tilt a hat at Hardy’s success. 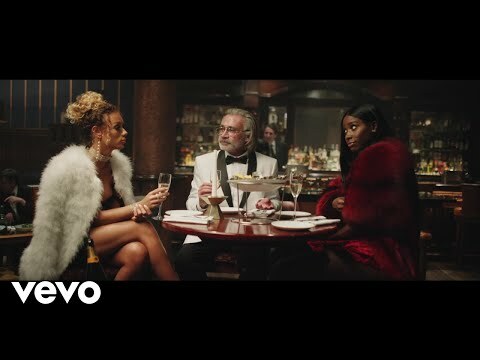 Shot in London’s infamous Bond Street the video also features an array of influencers including Bria Myles, Jena Frumes, Mettisse Campbell, Lela Simone, and Shantania Beckford. ‘Sponsored’ drops off the back of a stellar 2018 for Hardy Caprio. Most people would be absolutely delighted to either achieve a first-class degree in accountancy or to launch a thriving rap career. Incredibly Hardy Caprio did both at the same time. After gatecrashing the UK rap scene, the charismatic young south Londoner has been on a vertical rise making waves and scoring chart hits with summery r'n'b-rap like Unsigned and Best Life, (both feat. One Acen), and the harder-edged dancefloor swagger of Rapper. He has sold more than 1 million singles, sold out two national tours (many of which sold out within minutes of going on sale) and accomplished a gold and two silver records in one calendar year. His most recent single 'Best Life' was in the Top 40 for 12 weeks, becoming a mainstay on UK radio playlists and racking up 30 million audio streams and 16 million video streams. Earmarked by The Guardian as an artist who’s “on the edge of breakthrough” and GRM Daily as “a rapper that is going to blow” and described by The Independent as “poised to break into the mainstream”, Hardy has delivered on the hype, cementing his reputation as an upcoming British MC to watch. With a rise to glory that is testament to an ever-evolving and expanding UK music scene, Hardy’s lyrics are as relatable as his success-story is inspirational. Following the release of ‘Sponsored’, this year will see Hardy perform at a string of festivals and release his debut album.